Support Tickets Allocator For WHMCS is designed to automate the process of allocating tickets among departments and admin users. 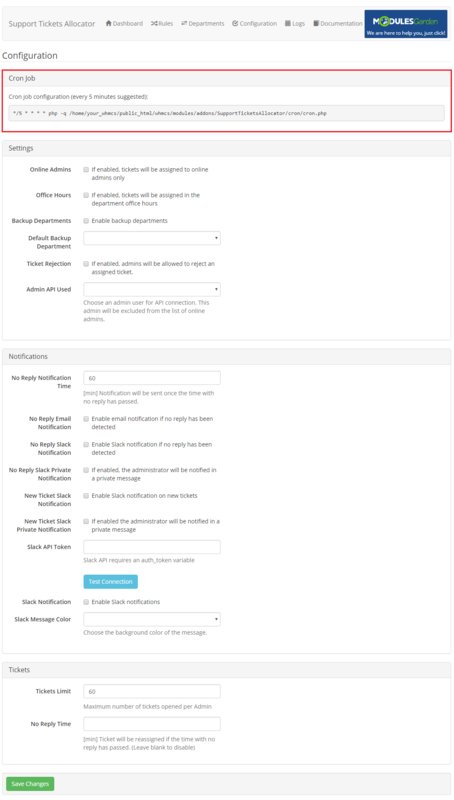 The allocation is performed on the basis of three determinants (keywords, products and ticket priorities) within the office hours, which can be configured for each department. The module will allow you to set the limit of tickets opened per admin. It also has the option to send automatic notifications as reminders that a ticket remains unanswered. Moreover, you will be able to set the deadline for a reply. If destined admin user exceeds it, the ticket is reassigned to another staff member. 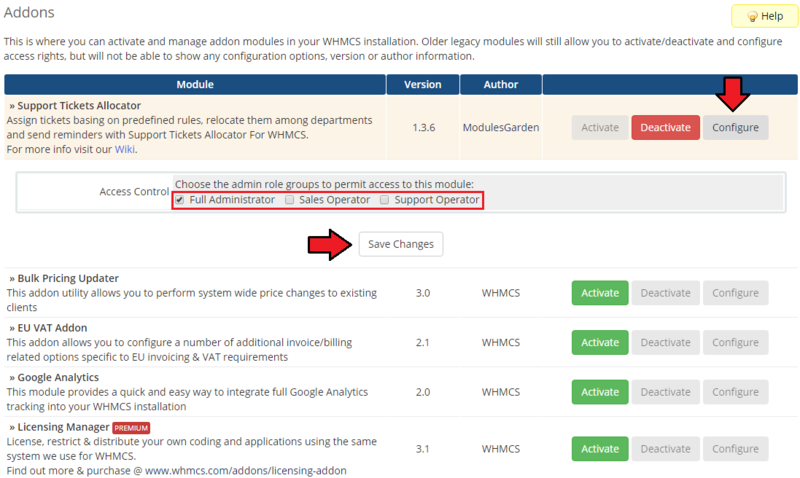 This tutorial will show you how to successfully install and configure Support Tickets Allocator For WHMCS. 4. 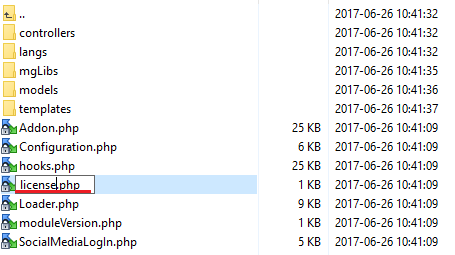 When you install Tickets Allocator For WHMCS for the first time you have to rename 'license_RENAME.php' file. File is located in 'modules/addons/SupportTicketsAllocator/license_RENAME.php' . Rename it from 'license_RENAME.php' to 'license.php' . Log in to your WHMCS admin area. Go to 'Setup' → 'Addon Modules' . Afterwards, find 'Support Tickets Allocator' and press 'Activate' button. 8. 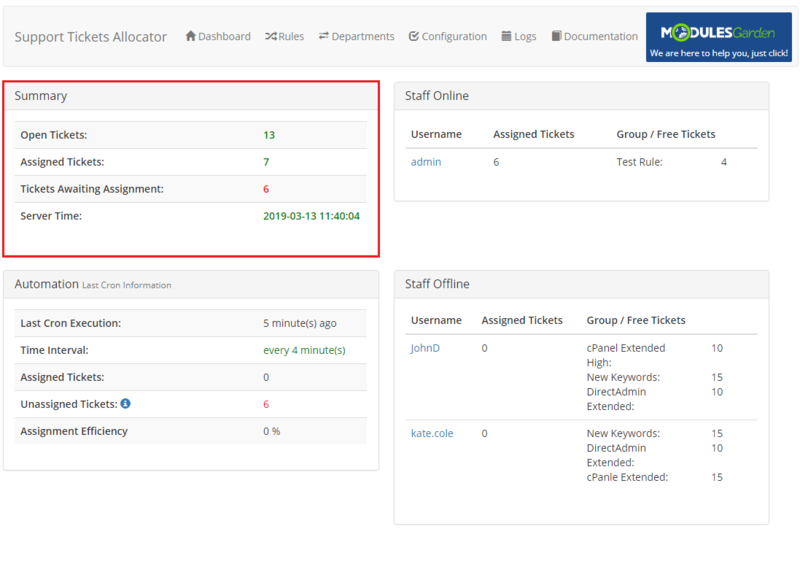 You have just successfully installed Support Tickets Allocator For WHMCS! You can access you module under 'Addons' → 'Support Tickets Allocator' . 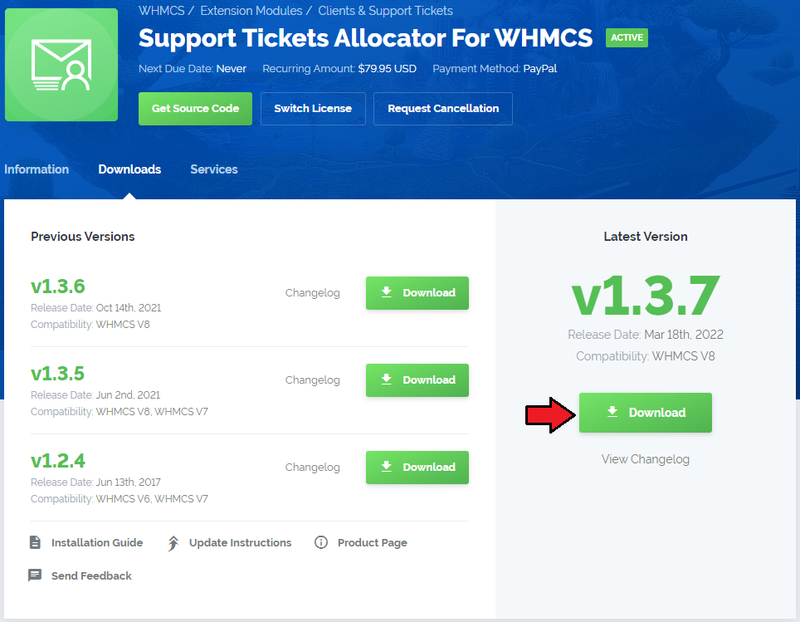 Support Tickets Allocator For WHMCS will coordinate and systematize the work of your support team through the most efficient and dynamic allocation of tickets to adequate people. Additionally, you can adjust the allocation rules according to your personal and business needs. We can move now to the proper configuration of the module itself. 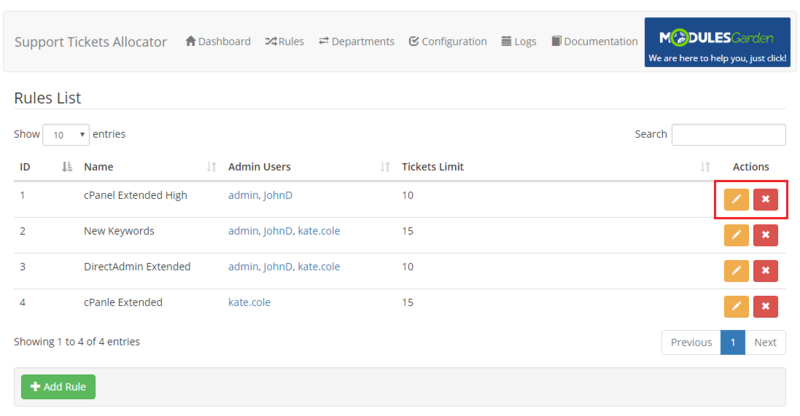 In 'Configurations' page you can set all rules according to which tickets will be allocated to certain departments and then admin users. First of all, you need to set up a Cron Job. We suggest that it should be run every 5 minutes to keep track of all tickets as they arise. Every cron job run will detect all unassigned tickets and attempt to allocate them to the most adequate admin users in accordance to the rules set. Let's have a look now at the rules you may issue. Online Admins - decide if tickets shall be assigned to both online and offline administrators or to online administrators only. Office Hours - decide if tickets shall be allocated into departments with respect to the hours departments work. You will declare the hours later on. 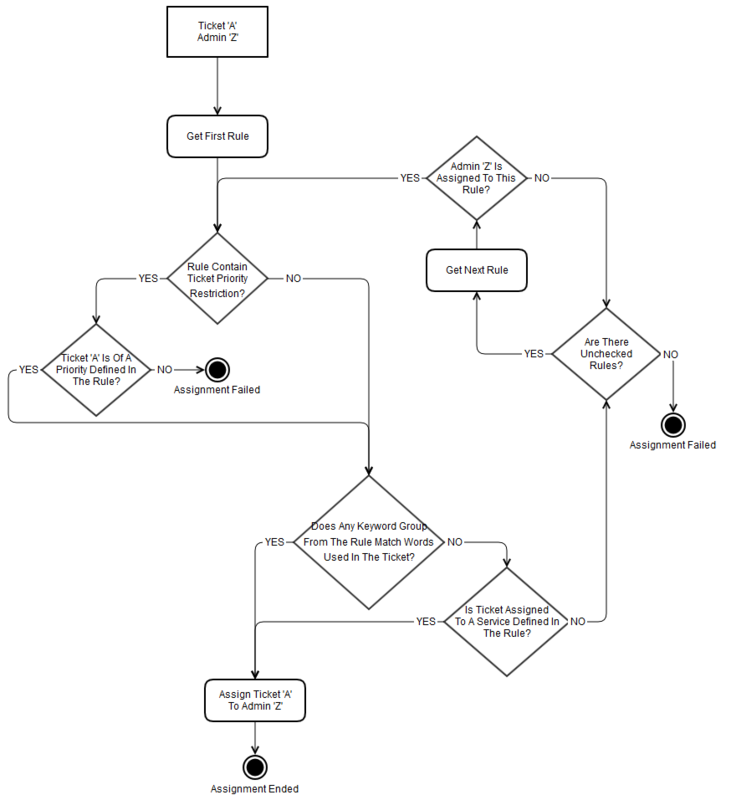 Backup Departments - decide if backup departments shall be allowed. 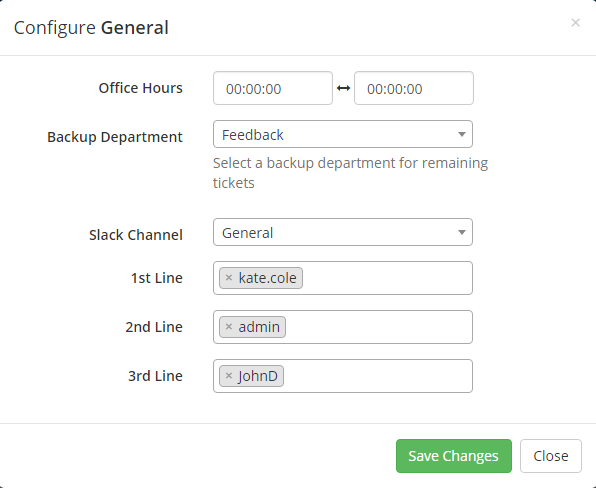 If you enable this option, you will be able to define backup departments which will be second in line to be chosen to allocate the ticket to. Provided the first department does not currently correspond with the requirements. Default Backup Department - state here a department that will be automatically chosen to allocate the ticket to if no other backup department meets the conditions. Ticket Rejection - decide if admin users shall have the right to refuse to accept the ticked directed to them. Admin API User - enter here an admin user who will not be visible as a logged in user and will not be included in the allocation process. 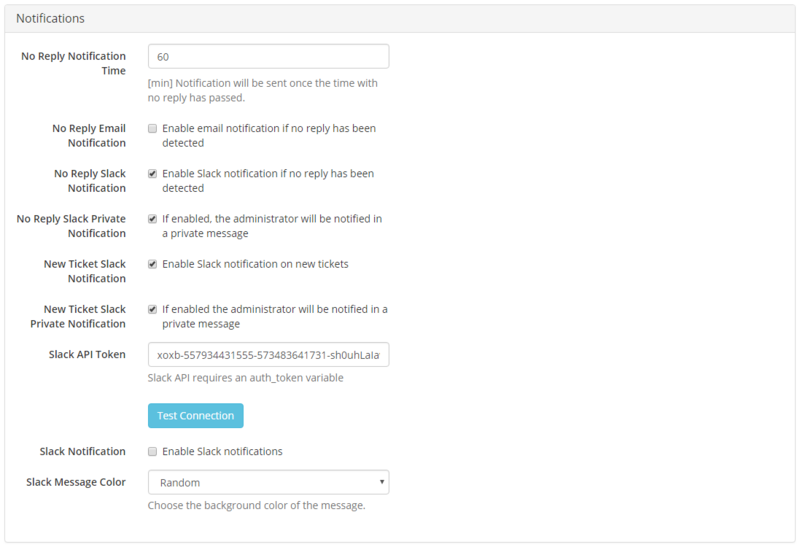 Slack API Token - if you enabled Slack Notification, enter Slack API variable here to connect; test connection then. 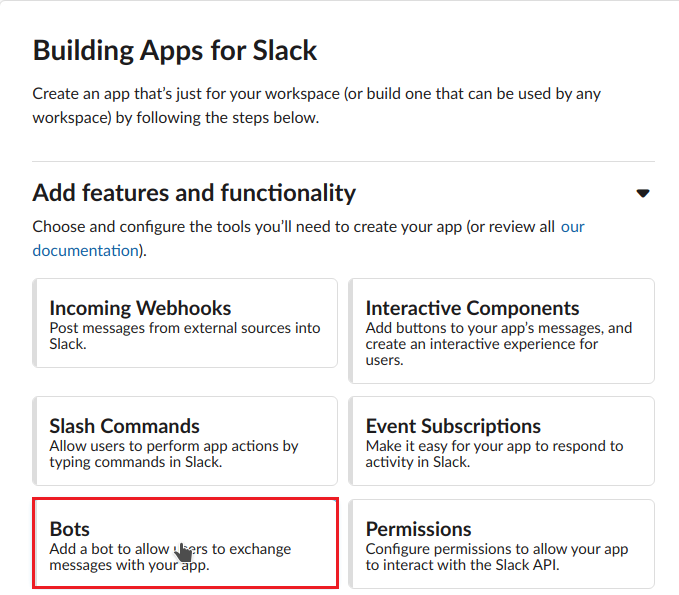 Important: The administrator must use the same email address in Slack as in WHMCS system. Otherwise, users will not be matched and notification about private messages will not be sent. In 'Departments' tab you can view and edit all the support departments that exist in your WHMCS system. 1. Define working hours of the department - provided option 'Office Hours' has been enabled. the ticket will be redirected to this reserve department - provided option 'Reserve Departments' has been enabled. 4. 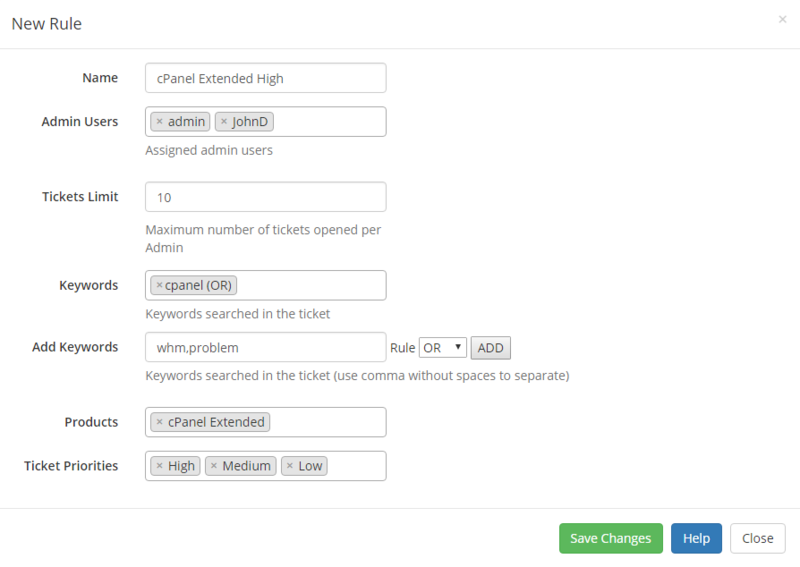 Define lines of support - You can define manner in which tickets will be assigned to administrators. Module tries to assign ticket to admins from 1st line of support, then 2nd and at the end to 3rd line. 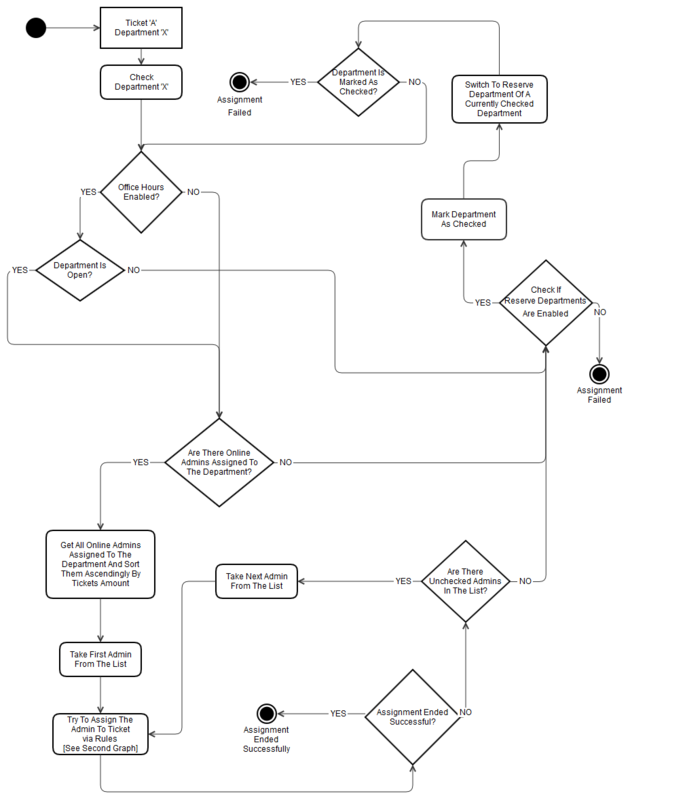 However, each line of support tickets assignment is divided into 4 steps. Which means that every administrator must undergo a check before the next step is checked. Ticket can be assigned on the basis of a rule that includes a product and key words. Ticket can be assigned on the basis of a rule that includes only the number of ticket the admin can have assigned. In 'Rules' section you are allowed to add new management rules, edit the already existing ones and delete them if no longer needed. This field is not obligatory, if you leave it blank, tickets concerning any products will be assigned to this administrator group. This field is not obligatory, if you leave it blank, tickets of any priority will be assigned to admin users from this group. If you have already added some rules, you will see their list with name, assigned admin users and maximum number of allowed tickets. Edit or delete rule specifications at any time if you wish. 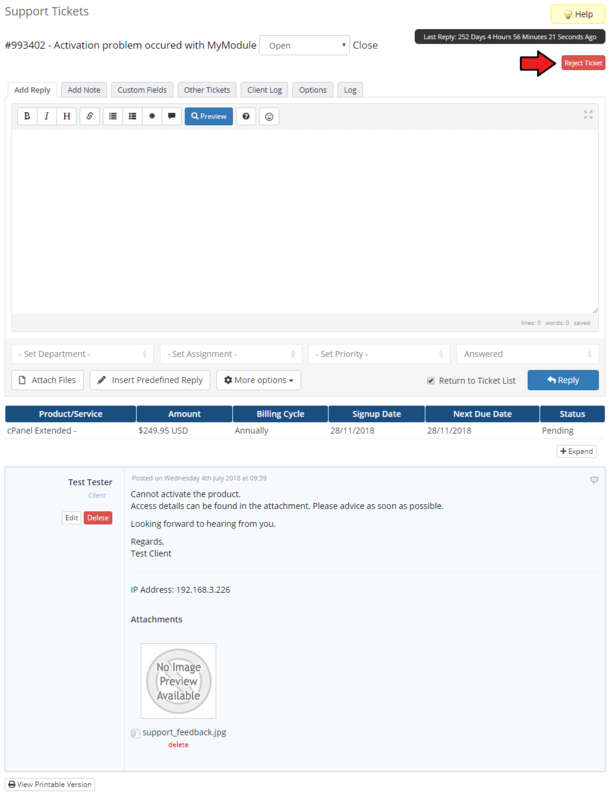 In the main view of Support Ticket Allocator For WHMCS you will find the most crucial information gathered into three simple, clear and convenient boards. We will skim through them quickly now to make sure everything is comprehensible. Table including a list of all admin users, except the user enumerated as Admin API User and the currently logged in ones. Module allows admin to reject any ticket if 'Ticket Rejection' is enabled. This can be useful while experimenting with keywords. Rejected ticket will not be assigned to the admin again unless rejection is canceled. Any rejection can be canceled by the admin from the same place. 'Logs' section provides all information concerning any actions that took place in the system. 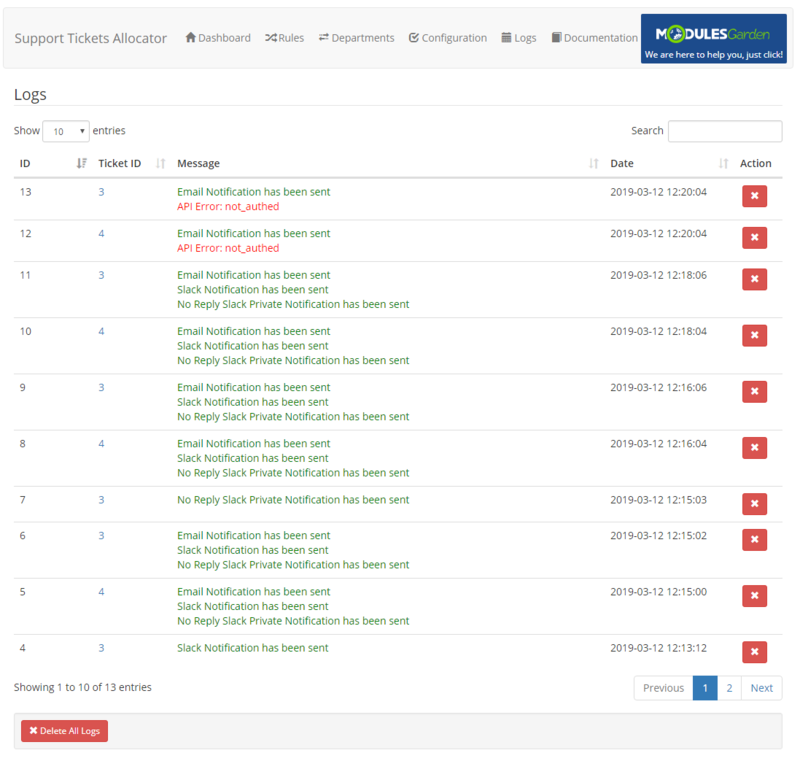 Logs are updated with every Cron run and on every action taken, for example when a new ticket has been submitted. You can delete a single entry or all entries at once. If you press 'Documentation' tab, you will be straightforwardly redirected to the site you are currently reading. 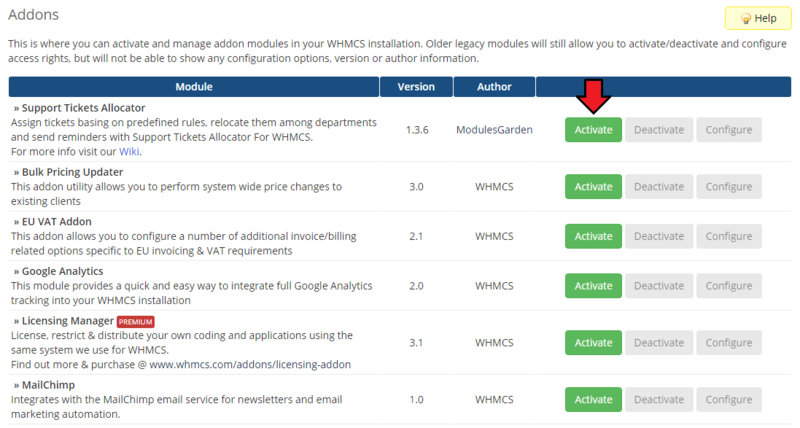 Read the articles to find all you need to know to use Support Tickets Allocator For WHMCS in full. 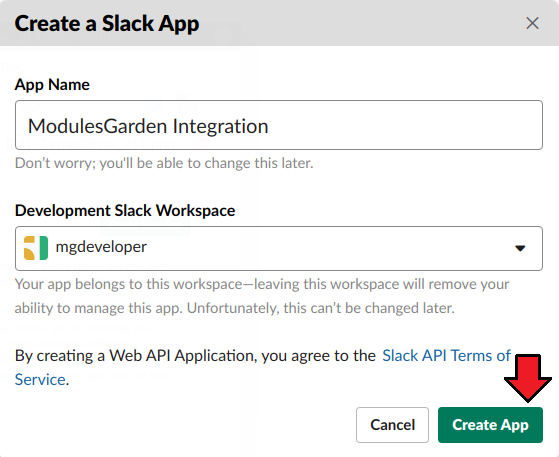 In case you wish to integrate the module with Slack tool, you will need to generate some data directly in Slack. Follow the steps below to generate the tokens. 1. 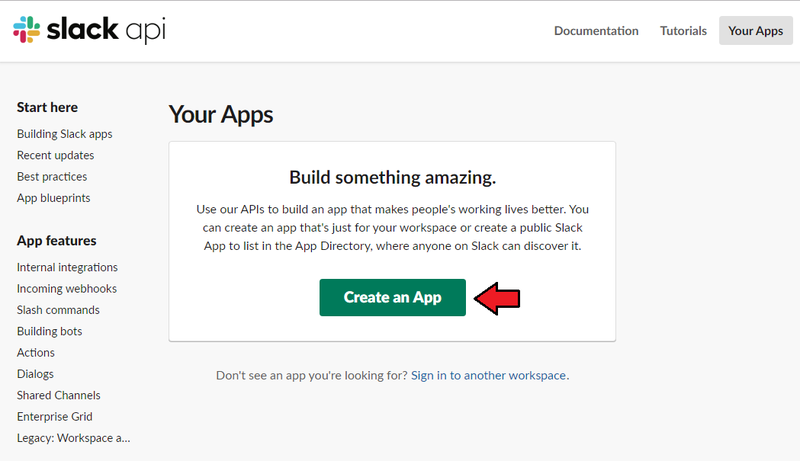 Log in to: https://api.slack.com/apps. Once you are logged in, press 'Create an App'. 2. Fill in the application name and choose your workspace, then press 'Create App' button. 3. 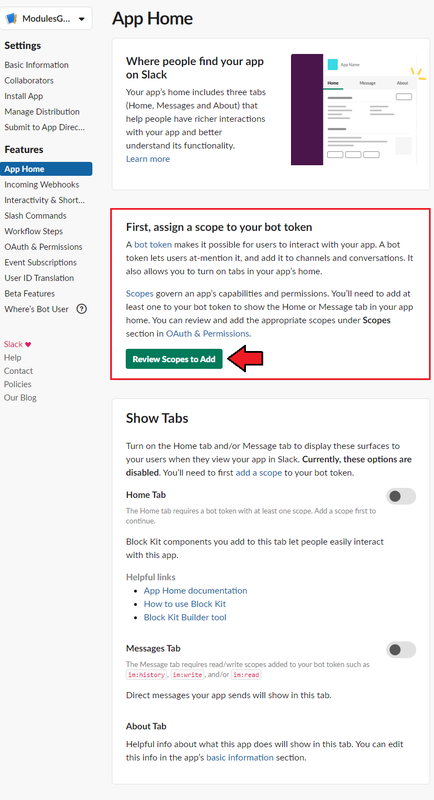 In the next step choose tool: 'Bots' which you will need to configure in a moment. 4. Confirm your selection by pressing 'Add a Bot User' . 5. Then, fill out the rest of the information and press 'Add Bot User'. 6. When ready, move to 'oAuto & Permissions' tab and press 'Install. 'User' token, the first one on the screen below, and 'Bot' token (recommended to use). Copy it and keep safe as it will be necessary during the module configuration. Important: In case for some reasons you decide to use API token of "Legacy" type, you must be aware that private notifications to users will NOT be sent. Only the ones sent to channels will be delivered corretly. 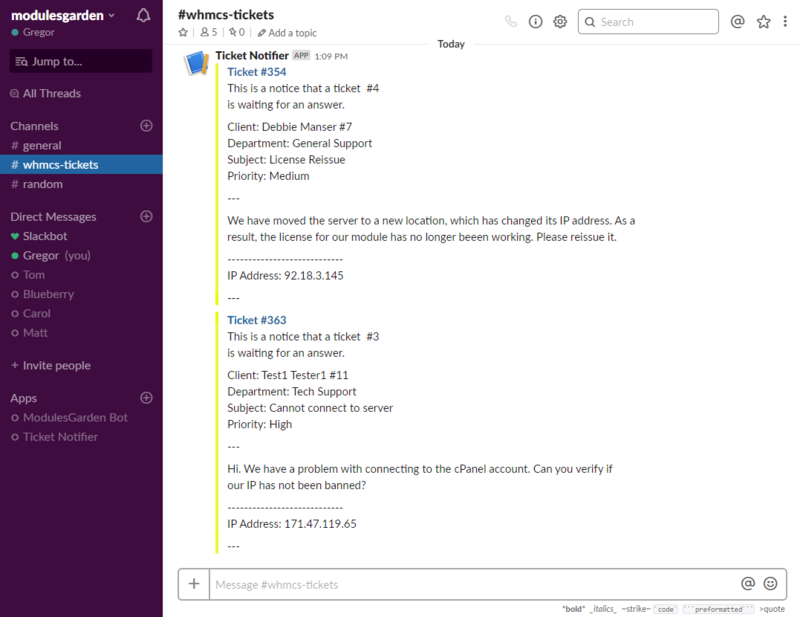 If you have enabled Slack notifications in the moduel configuration, you will be informed about tickes in appropriate Slack channel. Module may seem complicated, below you can find two graphs illustrating how the module actually works. Note 1: Following graphs do not show usage of failover department. It is used when all other reserve departments are checked. Note 2: Module tries to assign ticket to admin from failover department, if previous assignment try fails. Ticket is left unassigned until next cron run if this also fails. 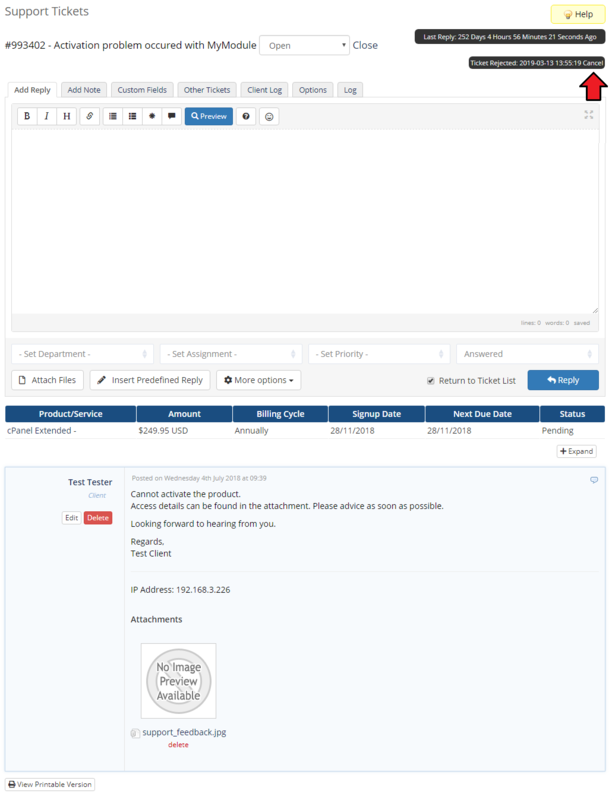 This page was last modified on 18 March 2019, at 15:38.